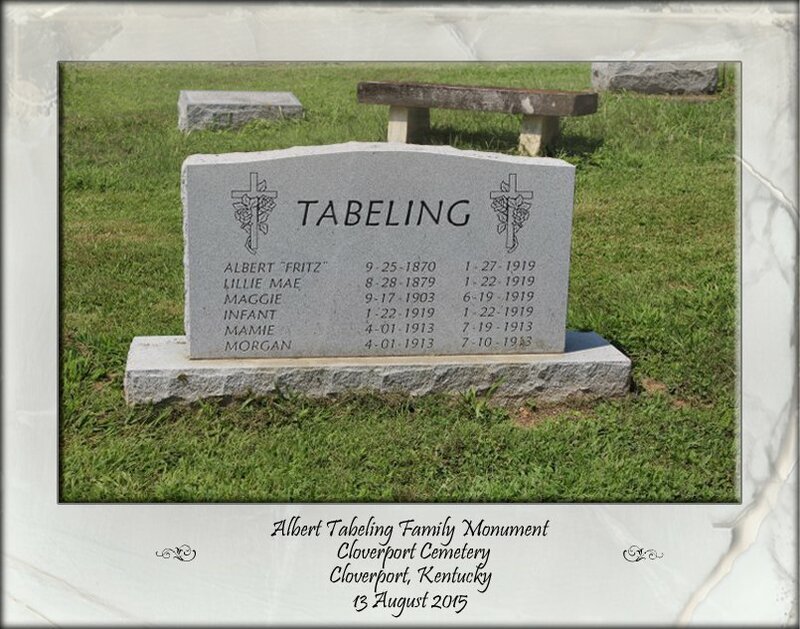 In July of 1913, my grand-aunt, Mamie (1913-1913) and grand-uncle, Morgan Tabeling (twins), children of my great-grandparents, Albert and Lillie Mae Tabeling, both passed . . . nine days apart, from Cholera and were buried at the Tarfork Cemetery in Kentucky . . . their graves unmarked. In 1919, my great-grandparents, Albert (1870-1919) and Lille Mae (1879-1919) nee Pate, along with their unborn child (Lillie died from a miscarriage due to the complications of the Spanish flu) and daughter, Maggie (1903-1919) Tabeling, passed away from the Spanish Flu . . . their graves also unmarked. My aunt Virginia (Ginnie) and I have chatted for a long time about wanting to place a monument or marker on their graves. We decided to look into the cost, so I contacted the Cloverport Cemetery and spoke with the very nice caretaker there by the name of, Mr. Wallace . . . he put us in touch with Mark at Crume's Monuments, in Caneyville, Kentucky, a family owned business since 1951. . . I have never talked with nicer folk than the Crume's and Mr. Wallace. My cousin, Jim, aunt Ginnie's son, was visiting his mom in Kentucky from Florida last May. 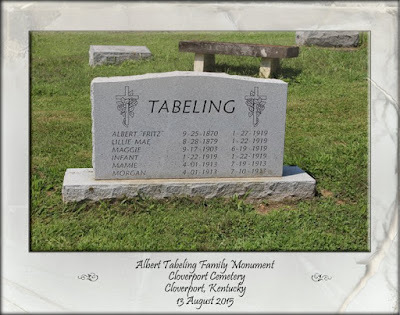 He had a trip planned to visit his paternal grandparents grave in Caneyville . . .afterwards, he stopped in at Crume's Monuments, next thing I know, he had purchased the monument for our Tabeling's grave and I am getting an email from Mark with a picture of the headstone to be . . . thanks to my cousin Jim's generosity, our great-grandparents, great-aunts and uncle are finally, after 96 years, honored with a headstone on their grave. Thank you cousin, Jim. My aunt Ginnie designed the headstone . . . even though Mamie and Morgan are buried at the Tarfork Cemetery, she felt that their names needed to be with the rest of their family. I have noted in their memorials on Find A Grave that they are not actually buried in the same plot as their parents but at least they too are remembered and their names are in stone. In August of 2015, my family and I, traveled in our Motorhome to visit my aunt Ginnie in Louisville, Kentucky . . . we had the greatest visit. We took a trip to Cloverport so we could actually see the new headstone in place and have a little family memorial . . . I took the above photo while there. Kentucky is so beautiful . . . I felt so at home there . . . missing my aunt and all the green beautiful hills. Unmarked graves are so sad. 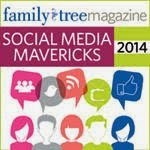 Your family did a wonderful thing. Thank you, Wendy ~ it was pretty cool to see the stone in person and have a little memorial between the five of us . . . they so deserved to be honored.